Bailey Roberts, of Edgewood, finished 12th overall in the Division II state cross country tournament at National Trail Raceway. Roberts finished the race with a time of 19:19.9 to earn all-Ohio honors which is given out to the top-20 runners. The Edgewood Warriors finished 18th overall as a team in Division II with a score of 384. Rounding out the scores for the Warriors as a team were: Lauren Kister -102nd in a time of 21:09; Eve Brunell -121st in a time of 21:35.5; Lydia Randolph – 142nd in a time of 22:03.9; Monica Hamalainen -148th in a time of 22:13.6; Layce Artman -150th in a time of 22:19.4 and Vivian Nash – 158th in a time of 22.46.6. Allie Wintz, of Jefferson, finished 106th overall with a time of 21:11.3. Jocelyn DeVan, of Grand Valley, finished 73rd in the Division III race with a time of 21:15.6. 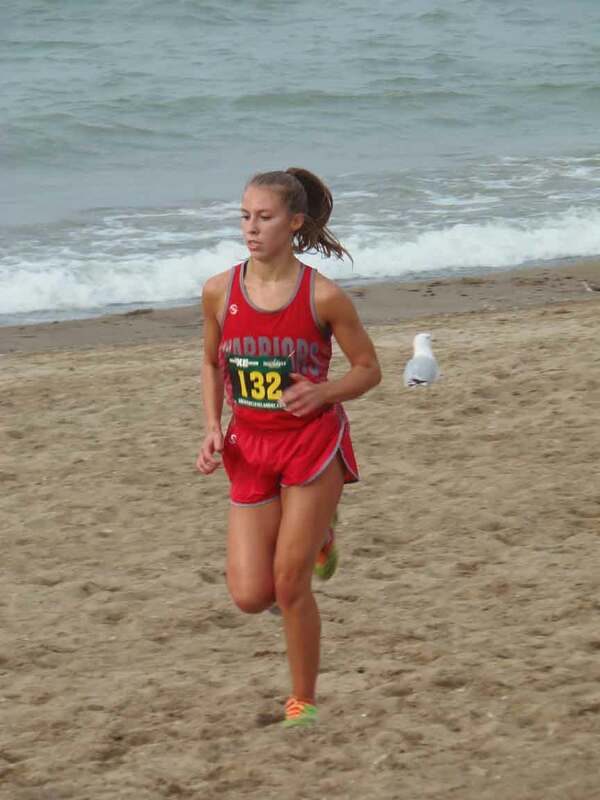 Pictured: Bailey Roberts, of Edgewood, runs earlier in the cross country season during the War on the Shore meet.